HKSDK model Z5 is the newest member of the flagship Z-series. 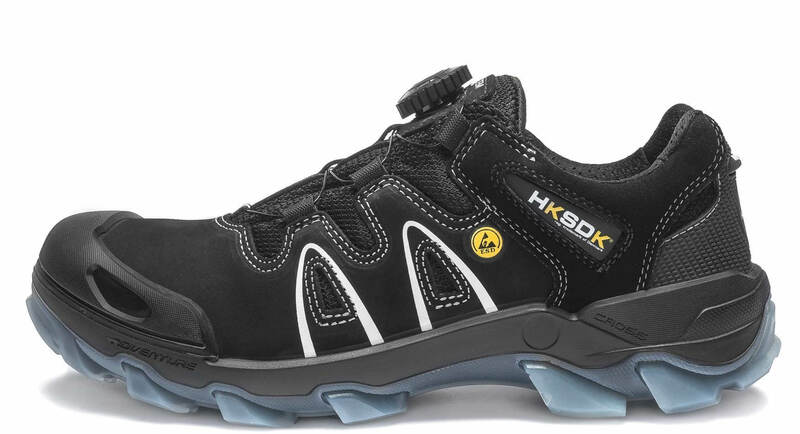 This HKSDK safety shoe has the innovative design and it is very comfortable to wear. Equipped with the newest, the 5th generation of the innovative HKSDK AIR-soles: the most flexible and soft HKSDK AIR-sole ever. The Z5 safety shoe is covered with the high-tech microfabric system POWERBREEZE®, guaranteeing extreme breathability for your feet all day long. Furthermore, the Tech-FiberTM nail anti-penetration and aluminium toe cap make sure that HKSDK Z5 is one of the lightest and the safest work shoes available on the market. Will HKSDK Z5 fit you and your work? HKSDK has many different models and some models will fit a certain work environment better than others. Below you can see how HKSDK Z5 matches certain working environments.